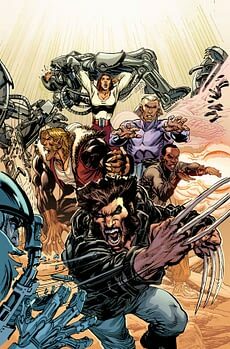 This morning, Bleeding Cool reported the news that Neal Adams was to draw and co-write a First X-Men book with Christos Gage, following sources and stories over two years old. We presumed it was his much-promised and signed-off Wolverine series. Well, it looks like we were half right. (UPDATE: Oh look, Wolverine is in it.) Marvel have just announced it. The announcement is still going on. First X-Men, a new limited series written and drawn by Neal Adams, scripted by Christos Gage.